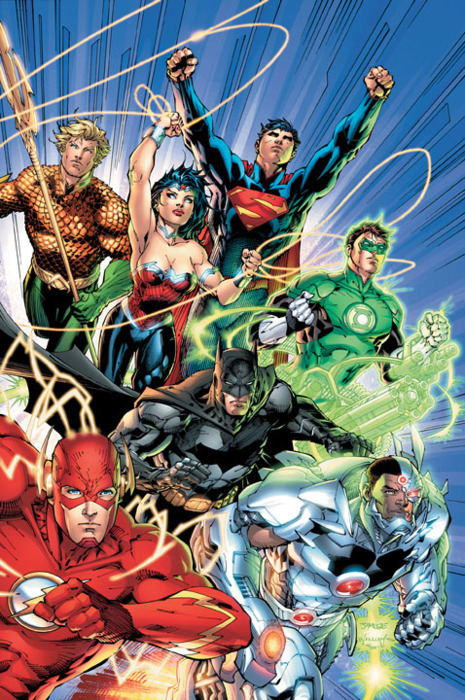 DC Comics: Now with more diversity! The recent emphasis on diverse characters such as lesbian superheroine Batwoman, Hispanic hero Blue Beetle and African-American adventurer Cyborg (who will be a core member of Johns and Lee’s new Justice League) also will continue. "Well, there's the fancy new team!" "Hm. It's all White. People are going to complain. We have some room in the corner over here. Why don't we add an iconic POC character? Someone people will easily recognize." "Okay, how about ... um..... cyborg?" "Hmm... anyone else...? Nope? Cyborg it is! Now let's make up an excuse for including him that covers for the fact that he's obviously just a token! Something to do with technology and how we're all cyborgs now!" You know, if they'd kept Cyborg AND given me John Stewart instead of Hal Jordan, I'd be less suspicious. Two is well over the POC Token QuotaTM. But it's not just about Cyborg, is it. We also have Wonder Woman getting a changeroom all to herself. 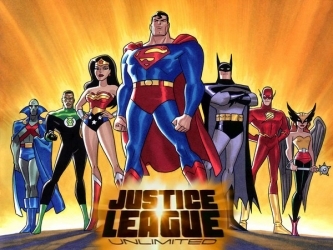 Somehow, despite the success of the Justice League cartoon, DC Comics, even in their attempt at Diversity! are already letting us down. Why do I get the sinking feeling that lesbian superhero Batwoman, African-American adventurer Cyborg and Hispanic Blue Beetle will be the extent of DC's diversity?